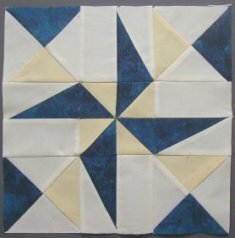 This awesome quilt, is four by four, with very thin sashings...a thin border strip, and then a wider border. SO Pretty! Here's one that Pat made!